Me hoping and praying and wishing I found a good read in the midst of a drought. to stop fighting or arguing for a certain time. Arranged Marriage? Where they do that at? In Truce, we meet the Jones family and the Evans family. Headed by two Alpha male OG’s that make a deal to bond their families in the future for their future. Malcolm Jones and Tremaine Evans. They set to accomplish this by sealing the deal with a marriage that will bring both families together as one. 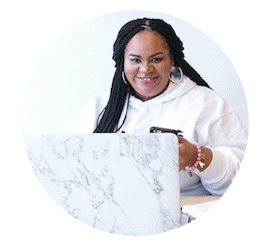 Iniko Jones is beautiful, spoiled, rich, smart and very determined once she sets her mind to do something. However, Iniko’s world is literally flipped upside down when her father decides its time for the families to unite. Forcing his daughter to wed the oldest Evan’s son. Nassir Evans is handsome, arrogant, rich, assertive, bold, and plain old rude in pretty much RUDE in all of his scenes. Nas takes the sudden news of having to marry Iniko as to be expected, regardless he rolls with the punches. He marries her and soon realizes it’s time to address some unspoken things between their father’s. Unfortunately, things quickly take a devastating turn for the worst. HUGE disappointment for me. This was not what I was expecting and it just came up short for me personally. Of course, there will be a book 2. The book ends with a ton of questions. I doubt I will be reading the next book to get the answers. Each book is different per reader. If you’ve read this book or are thinking about reading it come back and tell me what you think. 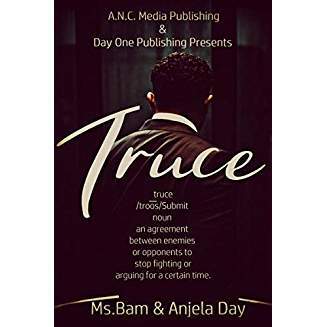 Sadly, TRUCE started off so well and quickly fell into the typical urban/hood story with no real depth and a severe lack of character development. Plot lines moved too fast and in turn, characters are not properly introduced. This also makes some scenes feel rushed and incomplete. At one point it feels like the author is trying to foreshadow but instead of allowing it to play out between the pages in the story it’s given within the main characters inner monologue with no true basis for the reader other than a gut feeling against another character we were never properly introduced to. To buy or Not to buy? It’s a NO for me Sistah Girls. Series: Yes, this is book 1 in a Series. Plot/Storyline: The idea was good but the execution was not strong to carry the book to completion. Steam factor: Mildly at best. On a scale of 1-10…I say 4, the characters give off an attraction that readers will pick up on. Now go forth and read, then come back and tell your Sistah Girls about it!